Here is the introduction of a center drill holder. I added this post to CNC Accessories. You might read about other cnc accessories like CNC Machine Jaws. 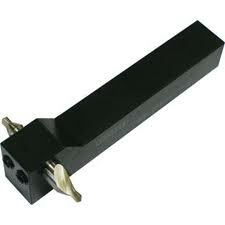 but a normal cutting tool holder (VDI Tool Holder) is used to grip it in the cnc machine tool turret. I think the figure tells lot about this center drill holder. How to Use CNC Center Drill Holder? Let me elaborate these points a bit more. 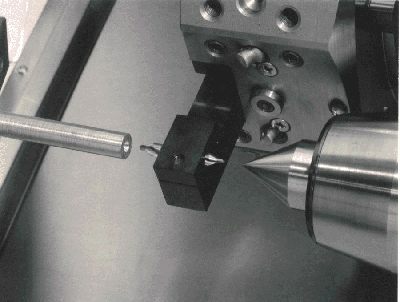 Such center drill holder is used in close spaces where the cnc machine tailstock is too close to cnc machine chuck that using a normal center drill holder might cause the collision between the cnc machine turret and cnc machine tailstock (sometimes moving the tailstock backward and forward is costly (time / effort)). This type of center drill holder is tightened in a normal cnc lathe machine cutting tool holder (VDI Tool Holder). 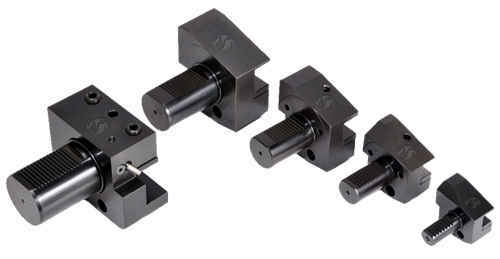 These center drill tool holders come in standard sizes so making easy to use in a standard tool holder. A normal tool holder which is used to tighten the normal lathe cutting tool like PDJNL 2525 M15 (a normal cnc cutting tool with the width and height of 25mm) can be used. So offsetting this center drill holder on cnc machine is not a problem, as the center drill holder has the standard height of 25mm (20mm standard size are also available for small cnc machines tool holders). For length offsetting you can use the tool presetter.